Barmah hats all the way from Australia. 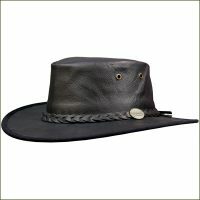 These hats are made by Australians from Australian leather for Aussies. It’s a tough life in the outback and in the scorching sun you need a tough hat. 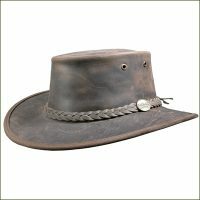 There are none tougher than the Barmah hats. Available in dark brown or black.